Annette Marie Shipley, 54, of London died Wednesday, November 21, 2018 at Madison Health, London. Annette was born May 14, 1964 in London, Ohio a daughter of Elmer and Victoria (Buchanan) Clifton. She had been employed at Madison Senior Living Community and the Madison County Hospital. She also had been a Candy Striper at Arbors of London. Annette immensely enjoyed spending time at Myrtle Beach with her family and being a “Mimi” to her grandchildren. 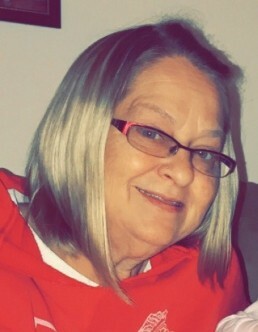 She is survived by her mother: Vickie Clifton of London; her loving husband of 33 years: Bob Shipley; loving children: Kevin Shipley of Galloway; Brittany (Zachary) Earles; Dalton (Chelsie) Shipley, all of London; grandchildren: Sophia Shipley, Seth Shipley, Ayleah Campbell, Hunter Scott Earles, baby Earles, Maizie Shipley; sisters: Barbara Wiggins-Clifton; Destiny, Mariana, and MacKenzie Clifton, all of London; brothers: Jerry (Leane) Clifton of Galloway; Justin Clifton of London; numerous nieces and nephews and so many friends. Annette was preceded in death by her father; Uncle Richard; maternal grandmother: Ferrell Jean Hutchinson; father-in-law and mother-in-law: Robert and Ima Jean Shipley. A funeral service will be celebrated at the Rader-Lynch & Dodds Funeral Home & Cremation Service, 124 E. High Street, London, at 1:00 PM., Monday, November 26, 2018. An interment service will follow at the Range Township Cemetery, Sedalia. Friends may call at the funeral home from 10:00 AM. until the start of the service. Online condolences may be sent to: www.rldfh.com.